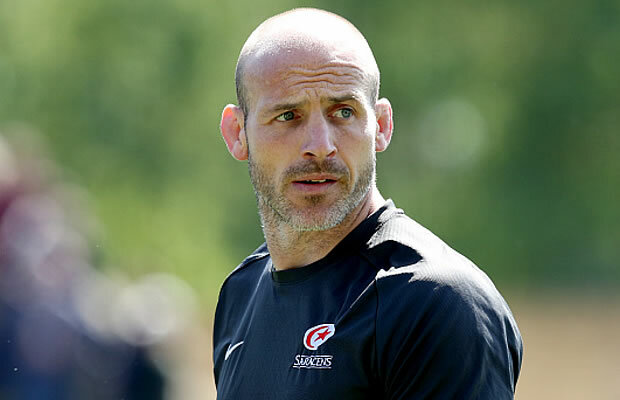 The Rugby Football Union have announced that Saracens defence coach Paul Gustard has agreed to join Eddie Jones’ England coaching staff ahead of the Six Nations. Gustard has been defence and forwards coach for the Premiership champion Saracens since 2008. The 39 year-old was promoted to the coaching staff at Saracens after being with the club for two seasons as a player. Gustard was involved as a coach on England’s tour to Argentina in 2013 while Andy Farrell was away coaching with the British and Irish Lions. He had an 11-year professional career as a flanker playing in 173 Premiership games for Leicester Tigers, London Irish and Saracens and played at every representative level for England, although uncapped for the senior side. Eddie Jones, England head coach said,”I’m really pleased to have Paul join us as he is a quality coach who has done some fantastic things at Saracens. We appreciate that we were able to work with Saracens to get him on board. Paul Gustard said,”To be given the chance with England is hugely humbling and I am thrilled to be involved. I would like to thank Saracens for allowing me to leave and take up this opportunity. I hope that experience will stand me in good stead for this next challenge. He will remain with Saracens until the England squad come together ahead of this season’s Six Nations campaign.